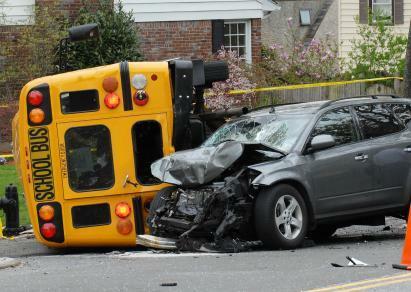 back in a motor vehicle accident as a result of a head-on, rear-end or T-bone (side) collision impact. You are experiencing neck pain, headache, fatigue, muscle spasms, even back pain, shoulder pain, leg pain, all depending on what happened in the car accident. It may hurt just holding your head up! 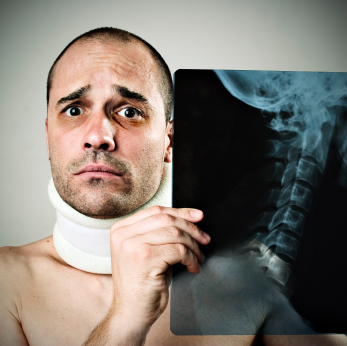 You may be experiencing a Whiplash Associated Disorder (WAD). WAD may include any of the above mentioned conditions including other cognitive problems such as nervousness, stress, restlessness, poor sleep, mood swings, reduced energy levels, impaired memory and concentration. Click here to view video, "Why You Shouldn't Wait to Get Auto Injury Treatment". At Advanced Healthcare, for over 42 years, Dr. Pisarek and staff have helped accident victims recover from most of their injuries with the complete rehabilitation treatment programs that we offer. And, there is NO CHARGE for these services to you, as we bill directly to your extended health and automobile insurers. You can call us directly for an appointment, and NO MEDICAL REFERRAL IS REQUIRED; yet we often receive medical referrals of injured patients (adults and children) to our facility. Click here to find out about "The best treatment for motor vehicle accident injuries". We also arrange referrals for free professional and legal advice, including our assistance in completing, submitting and managing your accident benefits claim forms. We will gladly accept transfer of your rehabilitation case and treatment program to us if you are not satisfied with the facility that you are presently attending. 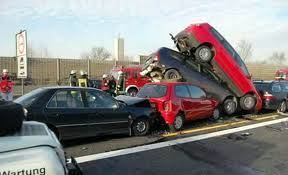 Do you know that if your automobile accident occurred outside of Ontario and you require legal representation, in most cases you may have to retain a lawyer in the jurisdiction where the accident occurred. If this is your situation, at Advanced Healthcare Dr. Pisarek can immediately provide the accident benefit rehabilitation services you require to treat and recover from your injuries at our facility. We can also help you find legal representation outside of Ontario to protect your interests through our network of legal advisers. Our clinic is a modern 'state-of-the-art' fully equipped facility that has been providing successful rehabilitation injury recovery results from our clinically experienced and licenced healthcare professionals with over 50 years of combined practice experience. Our chiropractors are trained in the assessment, diagnosis and treatment of WAD as a result of automobile accidents. Treatment follows established evidence based scientific and clinical guidelines and protocols. The reason individuals like yourself choose chiropractic care for treatment of personal injuries sustained in auto accidents is simple - chiropractic care is exceptional in the treatment of soft tissue injuries, especially of the spine. Since the most common injuries associated with MVA's are sprains and strains of the spinal muscles and ligaments, it's only natural that chiropractic be the treatment of choice. facility. Your auto insurance company will provide you with all of the necessary documents. In most cases, if you come in within 30 days of your accident, coverage is automatic according to the "Pre-Approved Framework" or "Minor Injury Guidelines (M.I.G.)" established by the Ontario Insurance Commission. At Advanced Healthcare, Dr. Pisarek will perform all the Chiropractic and rehabilitation treatments, personally seeing his patients on every visit. Dr. Pisarek does not allow his assistants or non-licensed staff to treat patients. 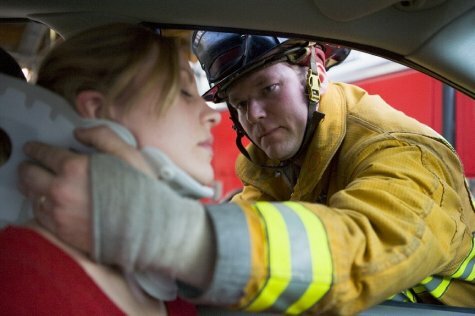 All the staff have extensive experience in treating car accident injuries. Dr. Pisarek and his administrative staff will also help you with all the paperwork involved when having to be treated for injuries sustained in a motor vehicle accident. They will also help you to apply for any benefits you may be entitled to due to your injuries (housekeeping, childcare, income replacement, attendant care, etc.). Dr. Pisarek and his administrative staff know that this paperwork can be hard to understand and overwhelming, especially when one is suffering from injuries. Please call Dr. Pisarek at Advanced Healthcare @ (416) 633-3000 for an complimentary consultation appointment and get your health back! You can also email us at [email protected].